Opting out of the romantic holiday this month? We’re right there with you! Instead of celebrating cupid’s arrow we’re celebrating the bonds of friendship with Thirty-One. The Mommy Island has joined with some blogging friends to showcase great products from Thirty-One that would make fun gifts to give to your bestie for Gal-entine’s Day! Check out some of the new products and enter for your chance to win! So much to LOVE! There are so many fabulous new products at Thirty-One that you can find the perfect gift to match your bestie’s style. 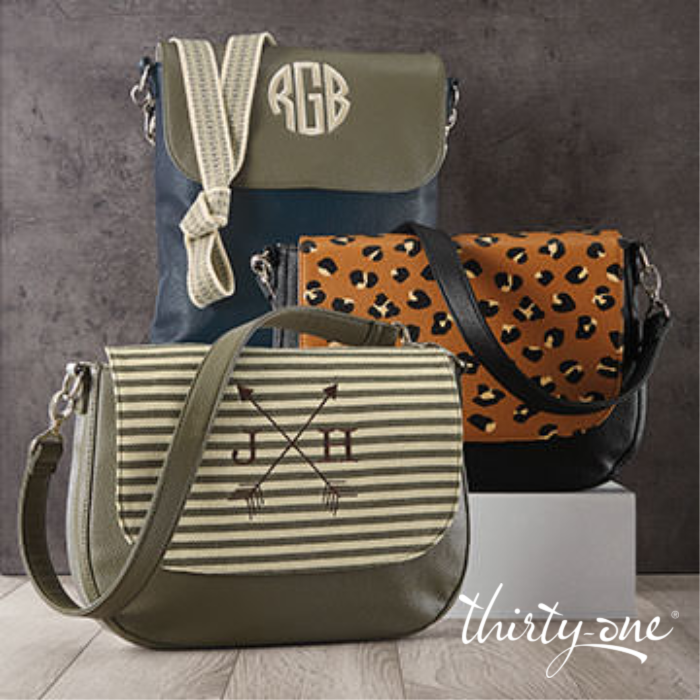 With Studio Thirty-One they can have a bag that changes to fit their fashion needs every day! Connect with your local consultant today to shop for your gal pals. Thirty-One products are sold through a network of local sales consultants via their websites or home parties. Want to join the team? You can get started today! Visit Thirty-One Gifts to learn more about saving on products and earning income by joining as a consultant or how you can receive rewards by hosting! Their most spacious wallet, the beautiful All About the Benjamins, is all about convenience and style. Made of luxe pebble faux leather, this billfold features 12 credit card slots, two bill slots, and a clear ID window, plus an interior zipper pocket and an open compartment. The entire wallet has a zip closure to keep all contents secure and hidden. Easily turn it into a fashion wristlet by adding one of our Wristlet Straps. Or carry it as a women’s wallet with a matching, on-trend handbag, purse or tote from Thirty-One Gifts. 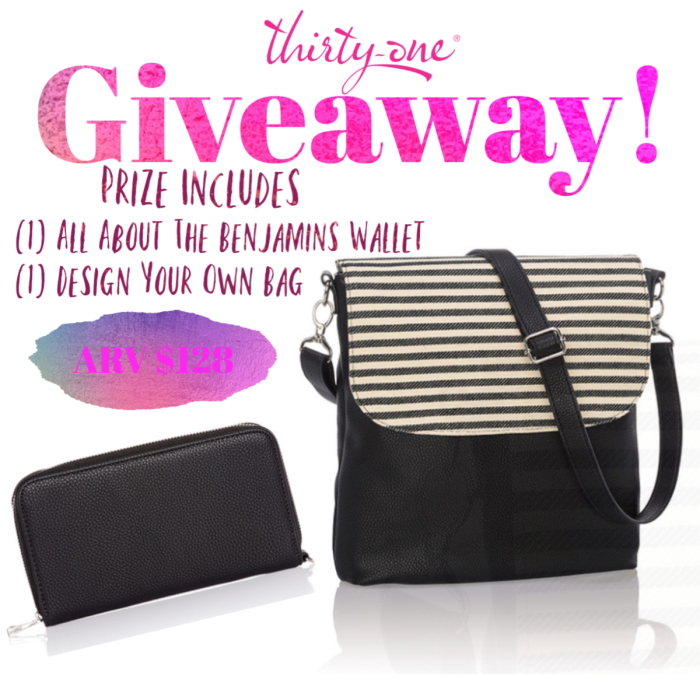 This bundle features (1) Studio Thirty-One Build Your Own Bag ($80) and (1) All About The Benjamins Wallet ($48). A fun prize to keep or give to your gal pal! Open to entrants in the US, 18 years and older. Open for entry from 2/13-2/27/ 19 at 11:59 pm EST. The winner will have 24 hours to respond to the notification email to claim this prize or a new winner will be selected. Neither the host or participating bloggers are responsible for prize fulfillment.